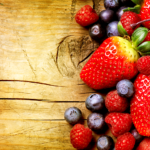 Promoting health through acupuncture, herbs, nutrition, qigong, and bodywork. Please contact us for our current treatment rates. Typical rates are listed below. We accept cash, checks, and all major credit cards. We will gladly check your insurance to see if you have acupuncture benefits. *Please note, these rates reflect a Time Of Service discount. It is important to find the right provider for you to ensure you get the most out of your treatments. We offer free phone or in-person consultations so that you can determine if Blume Acupuncture & Wellness is the best place for you to begin your care. Acupuncture is the insertion of superfine needles at very specific points along the body (ex: acu-points or trigger points) to elicit a healing response. When performed by trained practitioners, it is an incredibly safe and low-risk healing technique. Acupuncture sessions last 60-90 minutes and may include any of the following therapies within that time. 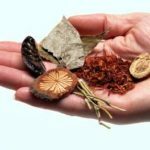 Herbal formulas have been used for thousands of years either as standalone treatments or to enhance the effects of acupuncture. The herbs prescribed at Blume Acupuncture & Wellness are superiorly sourced and have recieved highest quality assurance rankings. They come in either bulk, granule, or patent (pill) formats. Herbal consultations may be included in your acupuncture session at the discretion of the provider. You can book separate herbal consultations without acupuncture. These sessions will last between 30-60 minutes. Getting the body to move the way in its most fluid and pain-free manner is a primary goal of our treatments. 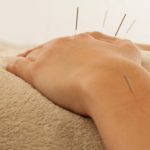 Bodywork and movement therapies (including cupping, guasha, shiatsu, and tuina) may be included in your acupuncture session at the discretion of the provider. Tuina and shiatsu are East Asian forms of massage. Cupping is a technique using glass cups and suction that can effectively rid the body of pain, stagnation, and toxins. 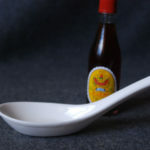 Guasha is a technique using a tool such as a ceramic spoon to scrape the body and relieve tension and toxins. You can book cupping only appointments that last for 30 minutes. 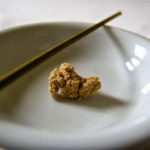 Moxibustion is a very commonly used treatment for chronic, stubborn, or cold-intolerant conditions. It involves rolling a dried form of the herb Ai Ye (Mugwort) into tiny pieces and placing these at specific points on the body. The herb is then lit with an incense and allowed to burn until the recipient acknowledges the heat. Moxibustion may be incorporated into your acupuncture treatment. Chinese Medicine is an all-inclusive form of healing. In your initial intake, your practitioner will want to learn about your typical daily diet and habits. With your permission, your practitioner may offer guidance in these areas in order to best augment the rest of your treatment.